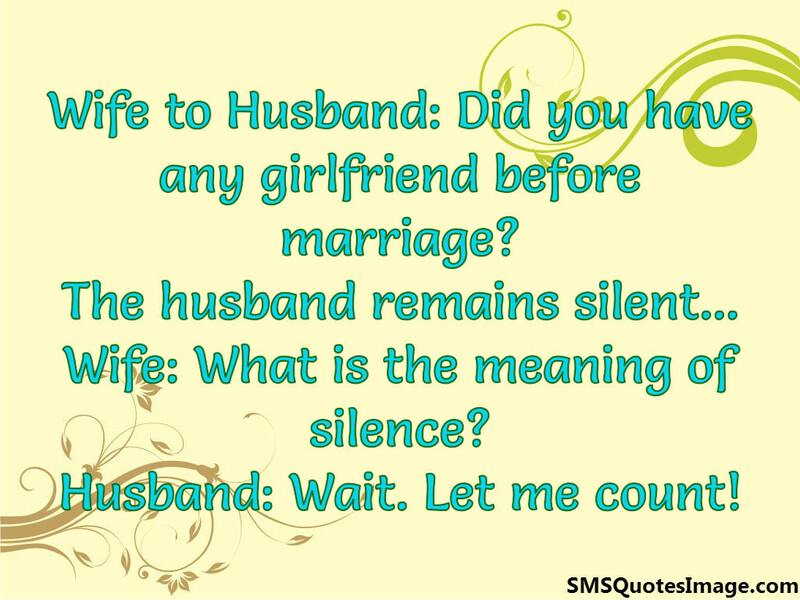 Wife to Husband: Did you have any girlfriend before marriage? 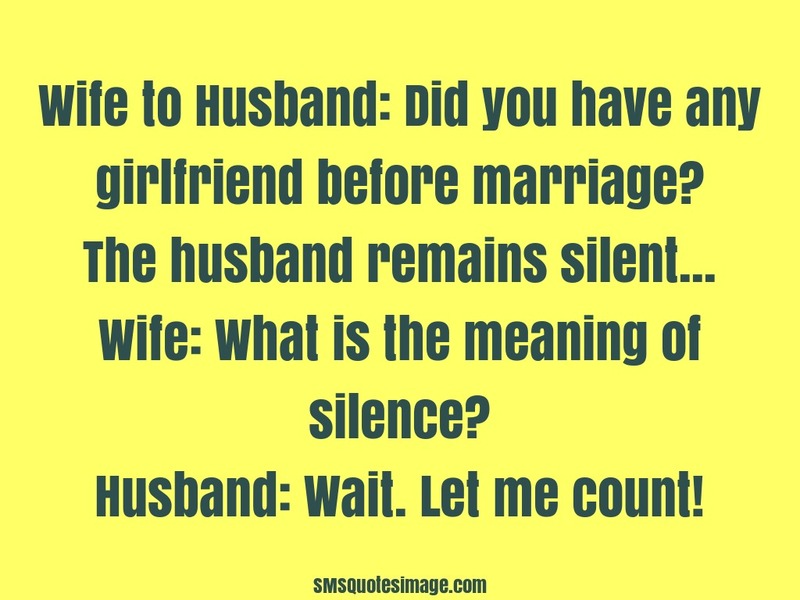 Wife: What is the meaning of silence? Husband: Wait. Let me count!